Research links poor fitness to accelerated brain shrinkage. June 1 is nearly here, which means six months ago a lot of you were making New Year's resolutions. And you really meant it, didn't you? But according to a University of Scranton and Journal of Clinical Psychology study, only about 46% of you are still on track in eliminating debt, quitting smoking, shedding extra pounds or otherwise improving your lives. The other 54% may need to look to the brain for both motivation and understanding of their resolution fails. Couch potatoes who need a boost may get motivated by learning that their brains may shrink as their bottoms expand, according to a study in the journal Neurology. Researchers used MRI scans to look at the noggins of 1,094 people at the start of the trial, then again two decades later. 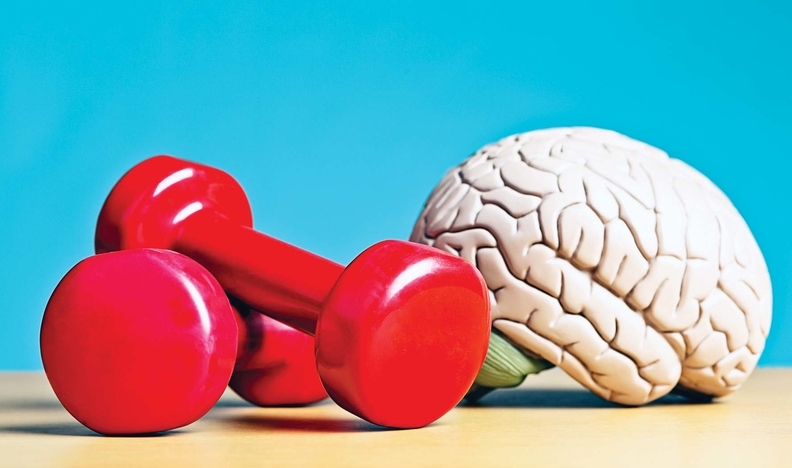 There was a direct correlation between poor fitness and accelerated brain-volume shrinkage; the brains of less-active people aged far more rapidly than those of their physically active counterparts. And the brain-body connection doesn't end there. In fact, that mass of soft gray and white matter that controls thoughts and actions could itself be unwittingly sabotaging the best-laid plans of even the most determined resolution makers. That's because the organ is “wired to pay attention to previously pleasing things,” Johns Hopkins University neuroscientists said in the journal Current Biology. If a person trying to save money or lose weight experienced a “flush with dopamine” when they overspent or ate a whole carton of ice cream, it's hard for the brain to forget that bliss. To break the cycle, what is needed is “value-based attentional” reorienting, the study suggested. In other words, reprogramming the brain to associate the less-pleasing action with a generous mental reward. Much easier said than done, the Outliers team presumes. Except perhaps for the determined 8% who ultimately achieve their resolutions at the end of each year.